You have got to love the hipsters with their quirky "trying so hard to be cool it's not cool" style. We can all see when they are covered in tattoos, have some unique choices in clothing and cartoonish hairstyles. Do you ever wonder if the carpet matches the drapes? 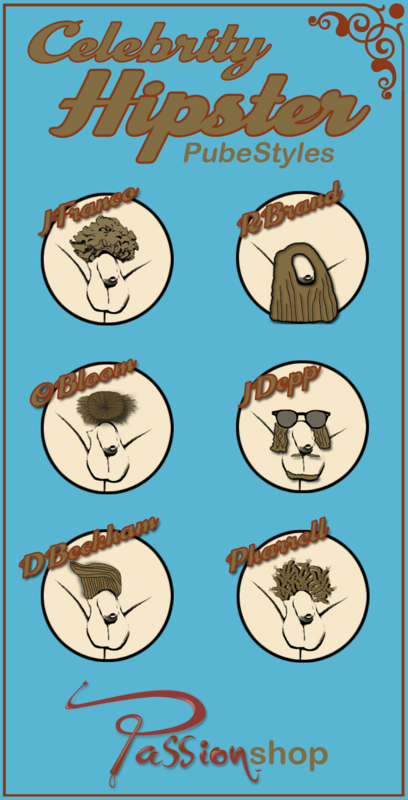 We do so we decided to make this infographic depicting what we pray our favorite hipster celebrities pubic hair looks like. Please include attribution to passionshop.com with this graphic.